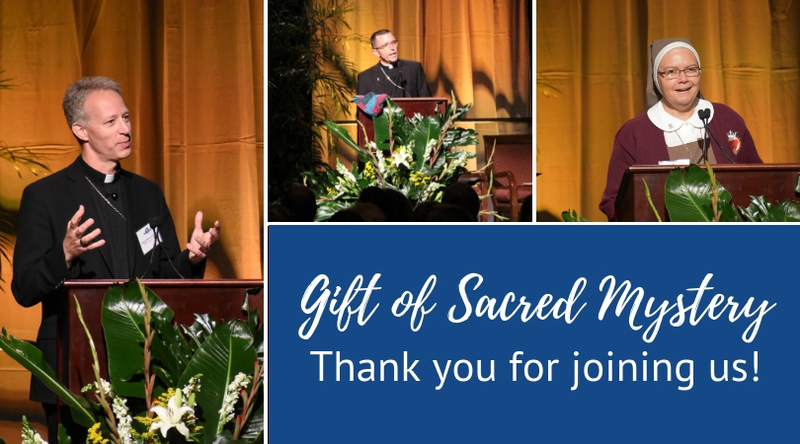 ORLANDO | More than 1,000 faithful gathered to listen to three very different speakers share insights regarding the Eucharist at the Rosen Shingle Creek Resort in Orlando, Sept. 8. As part of the Diocese of Orlando 50th anniversary jubilee, honoring the Year of the Eucharist, The Gift of Sacred Mystery delved into the Eucharist as gift, as sacred and as mysterious encounter. As Catholics believing in the true presence of Jesus Christ in the Eucharist, Bishop Wack stated that this presence can be life-changing if we are open to it. “We are ambassadors for Christ,” empowered by the gift of himself in Holy Communion, he said. “Through our prayers and our gestures we are drawn into the mystery that is Christ.” To believe anything else leaves us with empty promises. Bishop Robert Reed, Auxiliary Bishop of Boston and President/CEO of iCatholic Media Inc. could not agree more. He likened discipleship to being in traffic. “Being a disciple of Jesus is not a spectator sport,” he noted. “We have to use our blinkers. People need to know who it is that we are following and where it is that we are going.” He acknowledged the difficulty of this task at the current crossroads. “We are like the first apostles, sent, empowered to fearlessly change this corner of the Lord’s vineyard… When we love our children, are faithful to our spouse, live good and holy lives as consecrated men and women, when we fight to protect the unborn, when we care for the dying, advocate for the immigrant, turn our back on the devil as he tempts us to degrade ourselves and our bodies, when we sit in quiet prayer or make a good confession…—for others we are using our blinkers. We are letting people know that Jesus is the reason for our being in every season,” Bishop Reed said.